The minimum wage a worker should get depends on their age and if they’re an apprentice. The National Minimum Wage is the minimum pay per hour almost all workers are entitled to. The National Living Wage is higher than the National Minimum Wage – workers get it if they’re over 25. It doesn’t matter how small an employer, you still have to pay the correct minimum wage. Are you paying the right rate? If not you run the risk of underpaying workers. This can happen when employers fail to implement the annual rate increases, miss workers key birthdays as they move from one age band to another, or fail to apply the apprentice rates correctly. Are you making deductions from pay that take a worker’s pay below NMW/NLW rates? This can happen when you make deductions for items connected with the job such as uniforms, deductions for services provided by the employer such as meals or transport, or deductions for accommodation beyond the permitted accommodation off-set amount. 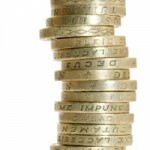 Are you including top ups to pay that do not count as pay for NMW/NLW purposes? This can happen when you include payments such as shift allowances under certain circumstances or customer tips or bonuses when calculating a worker’s pay for NMW/NLW purposes. Are you engaging people who should be classed as workers? This can happen when employers mistakenly treat workers as volunteers, interns or self-employed. Please see – Who gets the minimum wage – to help you decide if an employee should be classed as a worker and therefore is entitled to the National Minimum Wage. Use the Employment Status Indicator tool to check if a worker is self-employed. Are you including all the time a worker is working? If not you run the risk of unpaid working time, additional hours worked but not paid. These could be short but regular periods of time, for example time spent helping to shut up shop or clear security after a worker’s shift has ended, or could be longer periods of time spent training or ‘down time’ waiting. Other working time errors can occur with travelling time if it’s in connection with the worker’s job, such as between assignments, and sleeping time. For detailed guidance to help you calculate the correct rate of pay for your employees see – Calculating the minimum wage.